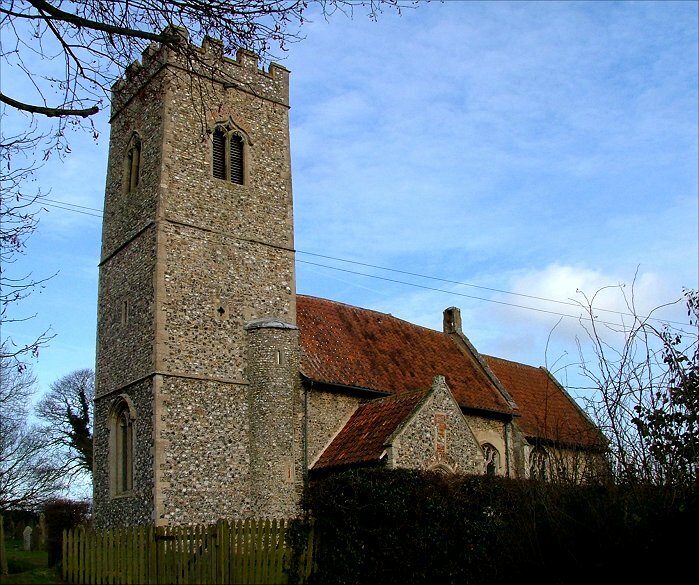 Mattishall is a tiny, pretty town almost exactly in the middle of Norfolk. 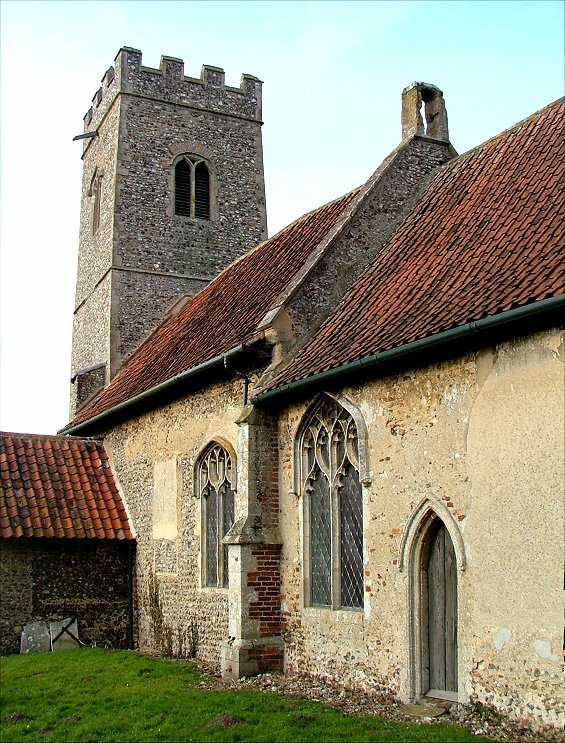 It has a magnificent church, All Saints, on the market square, but out here in what passes for a suburb is a second church, the parish church of Mattishall Burgh. 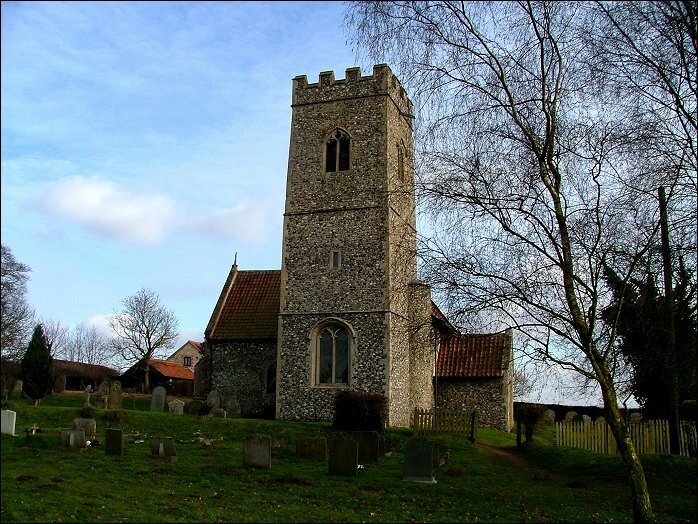 Burgh, pronounced Burr'a, is just about the most common placename in Norfolk, and usually refers, as you'd expect, to an outlying settlement of a larger community. St Peter is hidden from the road, up a track, and surrounded by houses and gardens, a rather incongruous setting considering that it is set on an ancient rise. 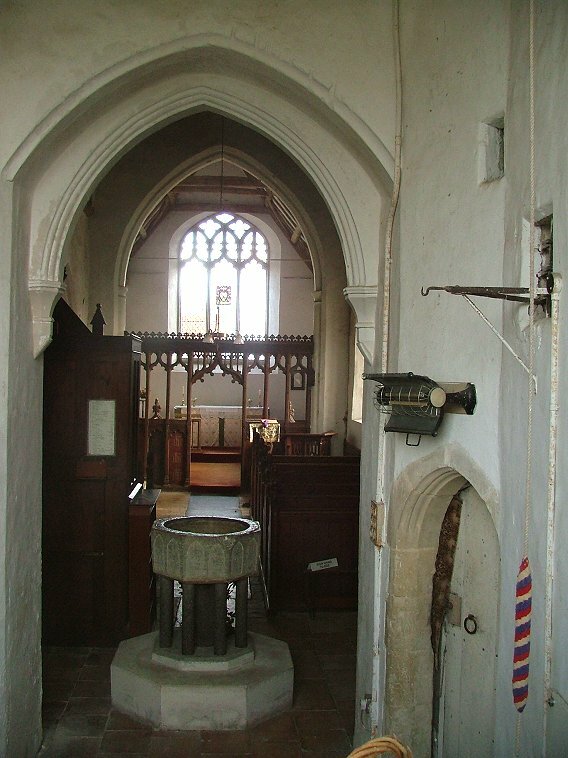 From the outside, it appears a small church, a largely 14th century remodelling of something older, with a rare surviving sanctus bell turret on the nave east gable. Going around the other side, you get something of a surprise, because there is a huge north transept, which at first sight you think must be Victorian. But on closer inspection it appears to be 14th century, and, as Mortlock says, probably exactly contemporary with the tower. 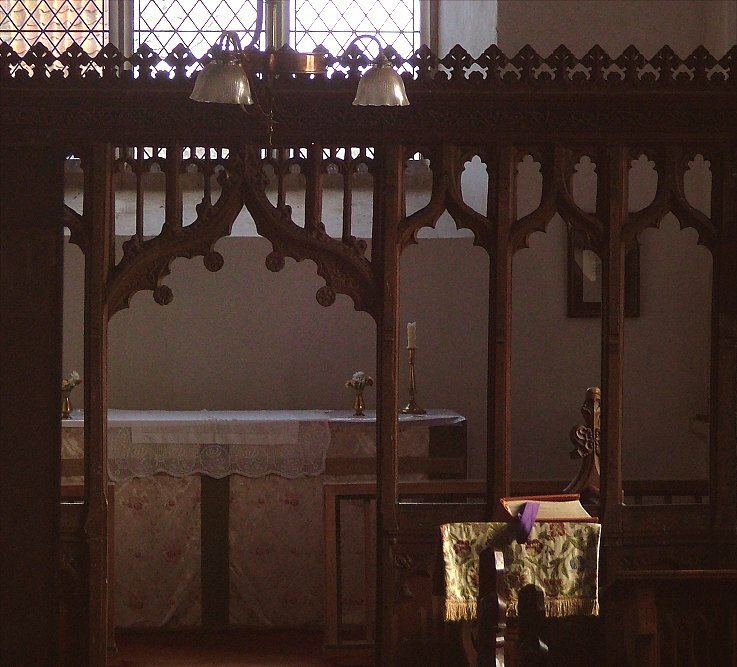 Mortlock, writing in the early 1980s, says that he found this church cherished and welcoming, but I have to say that this no longer seems to be the case. He fondly records the four pensioners who worked to save the church from decay. But now there are no signs, no notices at all, and so I had to assume that St Peter was no longer in use. 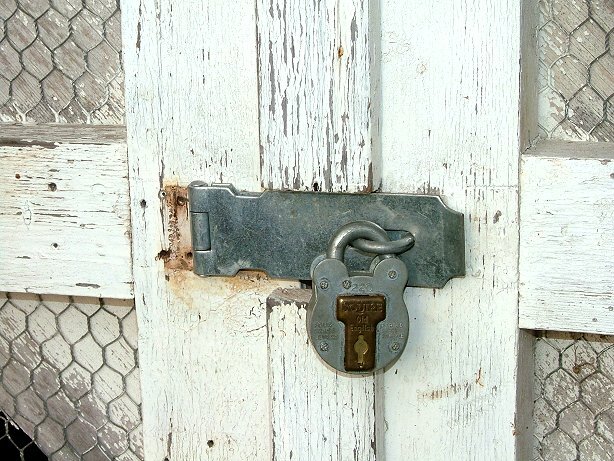 There is a huge unfriendly padlock on the porch doors. It is hard to think of a building as being cherished if it is so unwelcoming. And so, we had to break in. And what did we see? 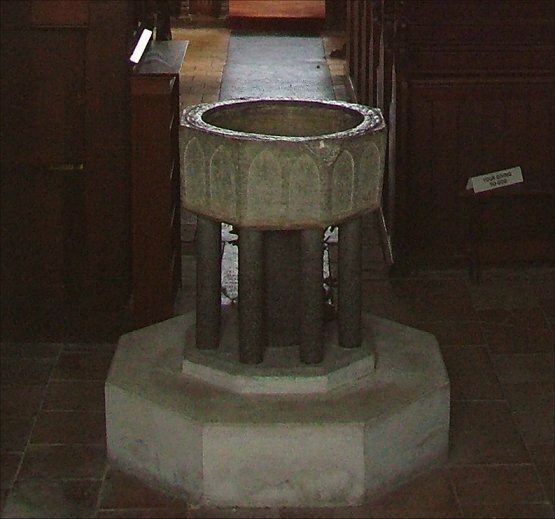 There's a lovely Purbeck marble font on a collonade of pillars, and one of Norfolk's half-dozen surviving barrel organs beside it. Turning east, an exquisite little screen. 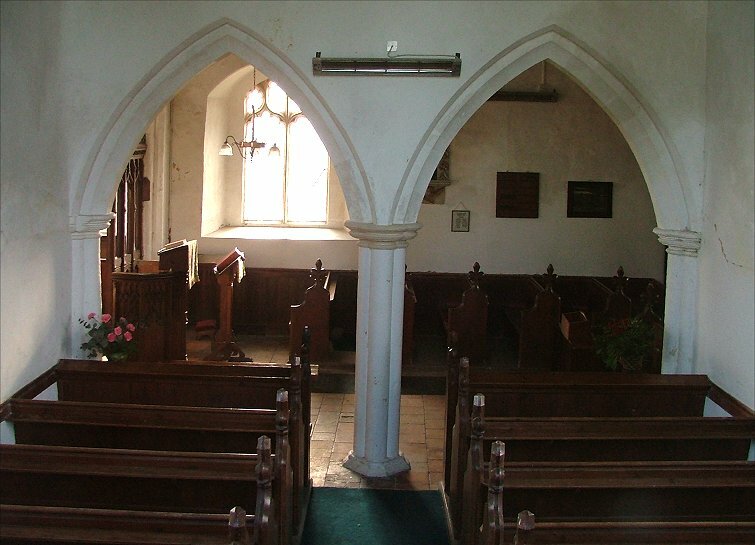 The transept is so wide that it is separated from the nave by an arcade, a single fluted column carrying the wall between two pointed arches, a perfect Early Engish moment. 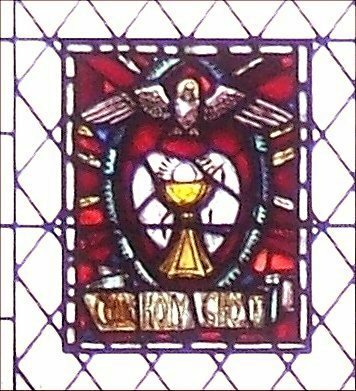 There is a simplicity to the sanctuary, with a panel of modern glass depicting a dove descending on a chalice and host, and the words Come Holy Ghost. Of course, we didn't really break in. We took all the photographs here through the windows. But we could have done, or, at least, someone could. 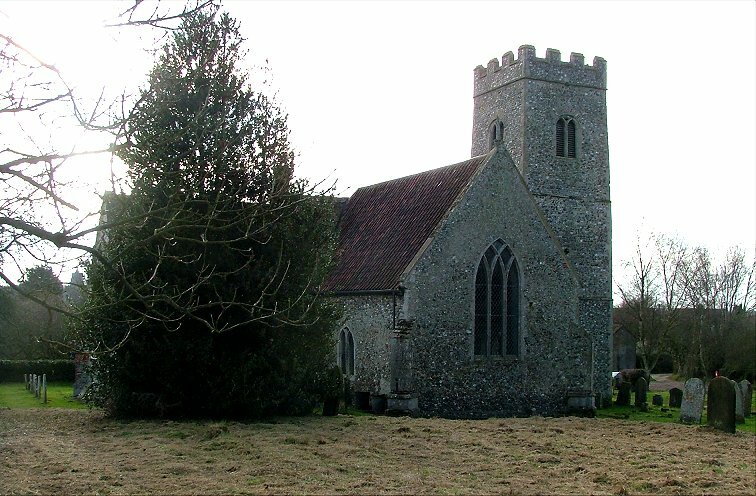 I get tired of repeating it, but the national charity Church Watch warns churches that a locked church is much more likely to be vandalised than an unlocked one, is more likely to be broken into, and is even slightly more likely to have something stolen from it than one which is regularly left open. The greater part of the claims received by Ecclesiastical Insurance are for damage caused by break-ins, not for items stolen. 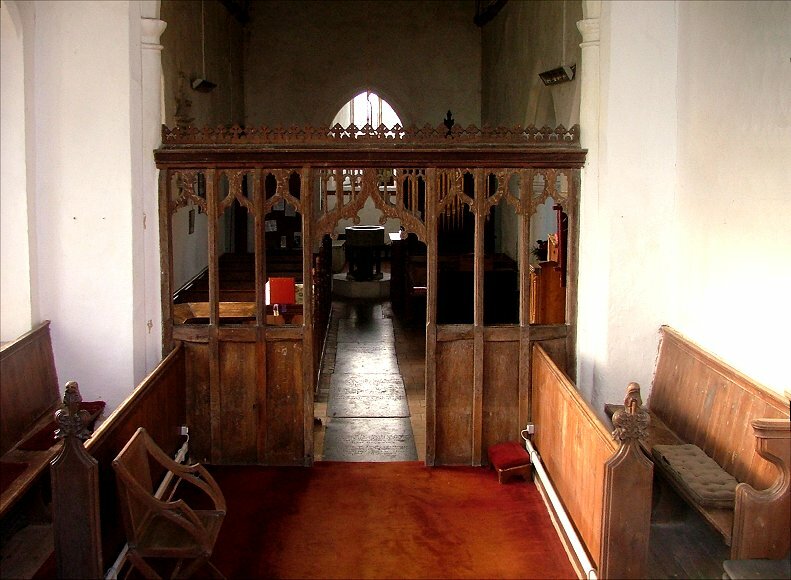 We met someone later at another church who said that there is no longer a separate parish of Mattishall Burgh, and there are no longer regular services at St Peter. It seemed sad that all the love and care that Mortlock saw lavished here a quarter of a century ago should have come to this. I wondered what those four pensioners would think if they could come back and see that padlock. But of course, if they hadn't loved it so, St Peter might well have been lost to us by now.